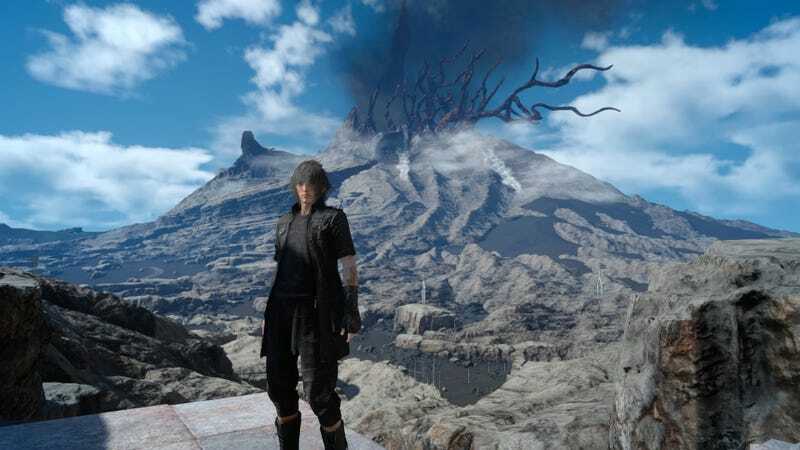 Square Enix will add a New Game Plus mode to Final Fantasy XV via patch on December 22 alongside a “Holiday Pack” DLC that will contain a bunch of goodies, the publisher announced today. Naturally, you’ll get more if you pay. The New Game Plus mode is free and will be available to everyone, although Square hasn’t mentioned anything about a higher difficulty mode, so I don’t really see the point just yet. The patch will also let you add frames to Prompto’s photos when you share them online. Warrior’s Fanfare – A scroll of sheet music containing a song of jubilation that provides additional AP for earning an A+ in Offense outside of training. Choco-Mog Tee (available late January) – An exclusive T-shirt featuring everyone’s favorite fluffy and feathery friends. Colorful, comfy and appropriate for any carnival-goer. Tech Turbocharger – A device for Noctis that accelerates the tech bar replenishment rate, but freezes the Armiger bar. Armiger Accelerator – A device for Noctis that accelerates the Armiger bar replenishment rate, but freezes the tech bar. Blitzer’s Fanfare – A scroll of sheet music containing a song of jubilation that provides additional AP for earning an A+ in Time outside of training. Tactician’s Fanfare – A scroll of sheet music containing a song of jubilation that provides additional AP for earning an A+ in Finesse outside of training. Key of Prosperity – A lucky charm that increases the rate at which fallen foes leave behind items of value. Stamina Badge – A device that enables Noctis to sprint and hang without expending stamina. Festive Ensemble (available late January) – A fancy and fun outfit perfectly suited for enjoying the festivities. The darling design puts all who see it in high spirits. I for one am looking forward to this mysterious carnival.